Additional Performance Of Love's Labour's Lost Added On Sunday, July 27! The response to Love's Labour's Lost has been so great that we had to add an additional performance on July 27. Don't miss your final chance to see both of these shows that audiences are raving about, in our beautiful new location in the Plantations Arboretum! "The performance was exceptional. 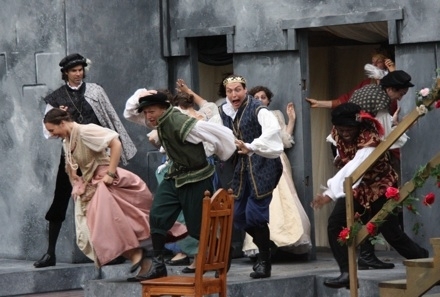 The cast was uniformly wonderful, not a weak performance in the lot - good humored, wonderfully comical, just excellent. I came with four other women. They are theater-goers. Uniformly, they were full of praise and loved it." "It was a wonderful evening - very entertaining. The facial and body expressions were as entertaining as the text. The script was brought to life in numerous ways." 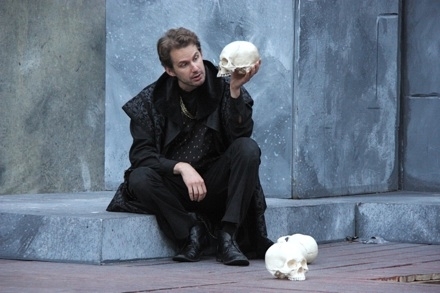 "Best HAMLET I've ever seen. And I've seen a few!" "It is so refreshing to see a performance that makes me think anew about a play that I know so intimately - and that was certainly the case with last night's performance. 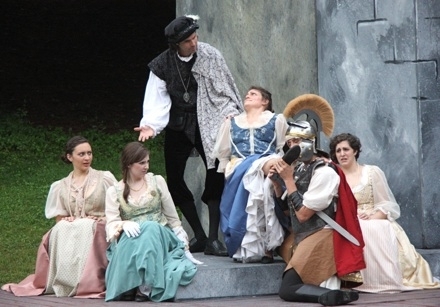 It is such a treat to see Shakespeare so finely acted right here in Ithaca! Thank you." "I thought that the acting was phenomenal. As always, Steve uses a minimalist approach with the set and the actors make beautiful use of the stage. I became emotional during the ending when the actors were dropping like flies. I was especially sad when Hamlet died. What a show." "Thoroughly enjoyed the performance. Acting and staging were excellent. The Hamlet actor was terrific. First time seeing a performance at the Plantations. Something about being there enhanced the 'magic' - we were really transported away from everyday life. Also, it was very relaxing, and fun bringing a picnic supper."